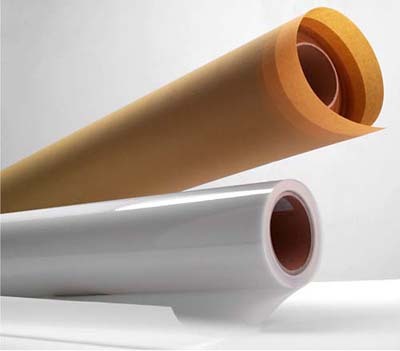 Anti marking polyester films for use on transfer and delivery cylinders on offset presses to help eliminate ink smearing and set off onto the printed sheets. Anti Marking Films are available in both non adhesive and self adhesive formats. Non adhesive is fixed to the cylinder either with 2 clamps or double sided tape. 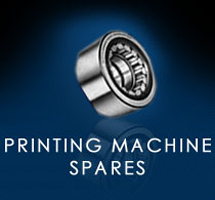 Self adhesive, both in small (S type) and large beads (L type), is simply cut to the size of the cylinder and affixed by removing the adhesive backing. Anti Marking Films are available in S type for paper and high quality printing and L type for carton or general purpose use. Both are produced in self adhesive or non adhesive formats. Films can be easily cleaned with standard cleaning solvents consequently lasting longer and bringing high quality and efficiency of anti marking properties in production. Anti Marking Film is available in rolls of 1050mm x 50 metres or cut to the required size in sheets. Anti marking paper has the same application as the polyester film and is for use on transfer and delivery cylinders on offset presses to help eliminate ink smearing and set-off onto the printed sheets. Although coated to be water and grease repellent, the paper is not as durable as the film and needs to be placed more often. It is available in a non-adhesive format in roll or cut to the required size in sheets.